Originally, I wasn’t going to do Pass Mountain, since it fell on the same day as the Lead-Follow Endurance ride at McDowell and I had plans to ride. Well, the original ride plans fell through…and the subsequent plans fell through…and all of my efforts to obtain a ride resulted in nothing, so I decided to go do a trail run instead. 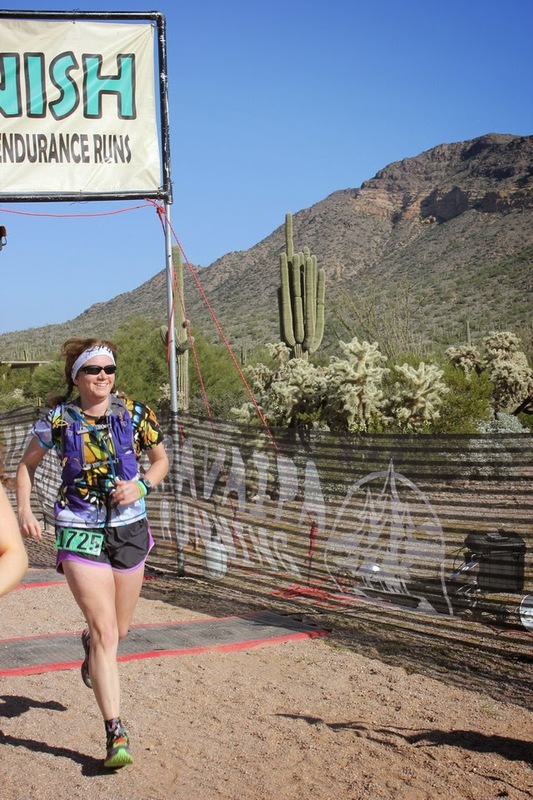 Pass Mountain was yet another Aravaipa Running race, which meant awesome swag, great trails, and another well-run, organized, fun race. 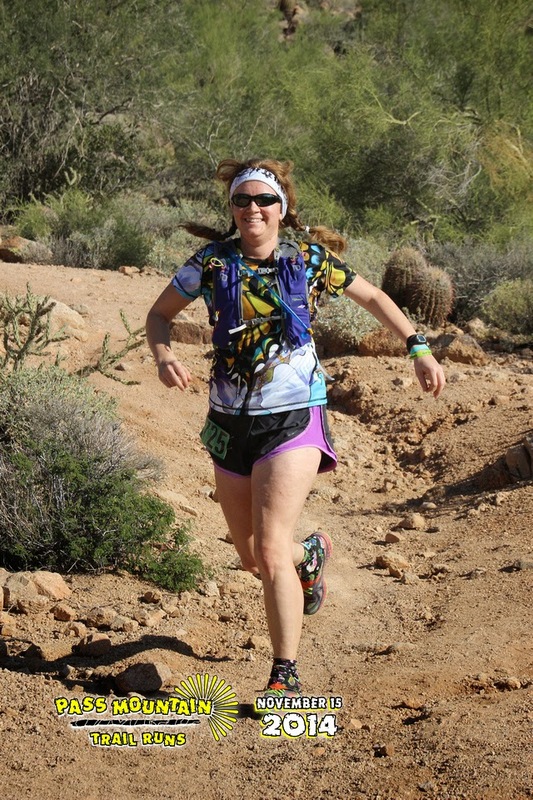 The race was held at Usery Mountain Park, which I’ve ridden at for years and years and know the trails all really well. (Said it before, I’ll be in trouble when I get to a race where I’ve not been to and have to actually pay attention to where I’m going. This one was also just the weekend after my half marathon at San Tan, so I stuck with the shorter 10k distance as a good stretch-out. I’d also talked one of my buddies from the group I run with into bumping up to the 10k, and told her I’d run it with her. The 10k course stayed down on the flatter part of the park trails, so it was almost infinitely runnable. My challenge to myself was to see how much of it I could run, non-stop. And with the exception of the short climb up Cat’s Peak Pass, I did end up running the whole thing. It was a fun change to run with someone…I typically run alone, intentionally…I like the time to be in my head-space and sort things out. But for a shorter race, I really enjoyed it. We ended up doing the 10k in about 1:06. 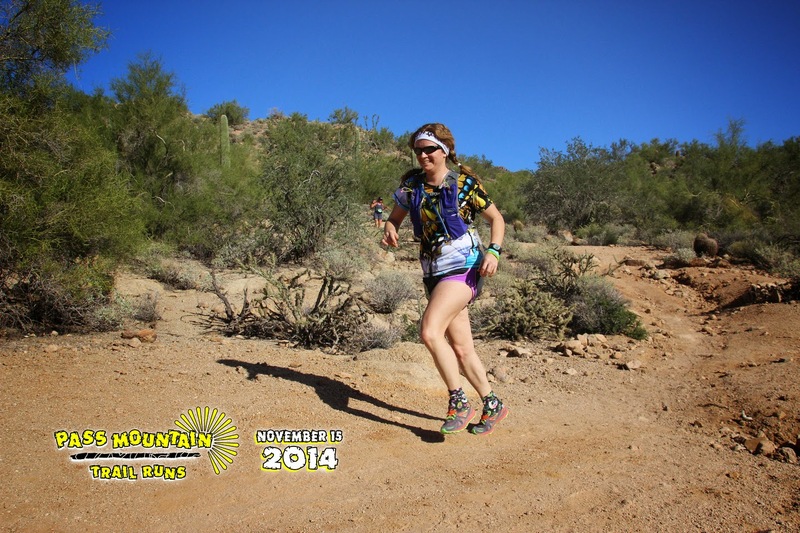 Seriously short race report this time, since it really was a short, fun day on basic, straight-forward trails, and no drama involved. 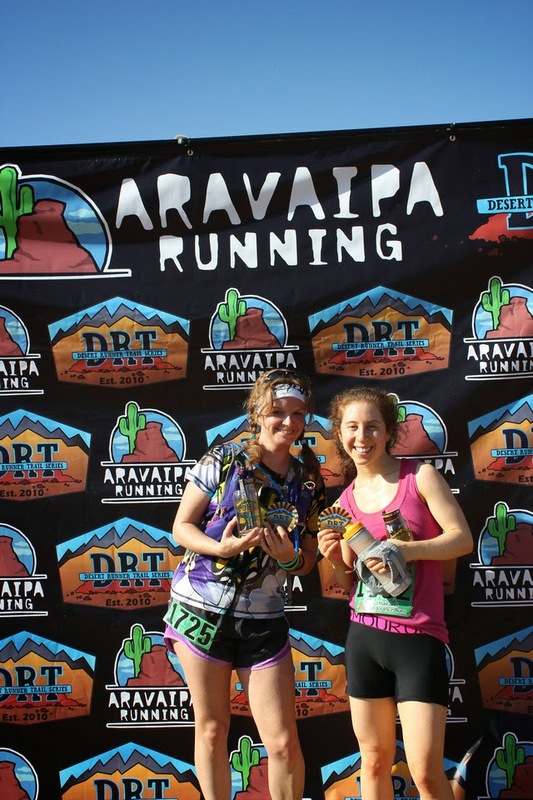 Photos from the day, courtesy of Aravaipa Running! Thank you!! I am in love with that shirt…will be doubling as a riding shirt because it's excellent for wicking and nice and cool in the heat. 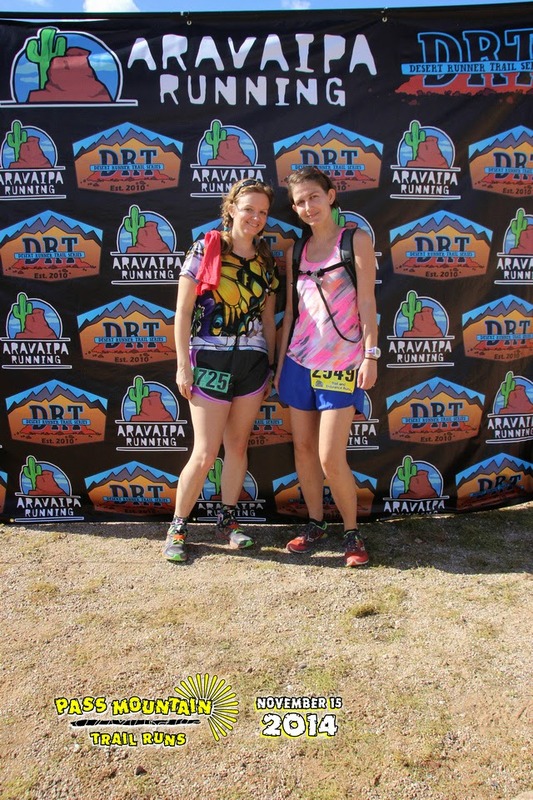 Pretty sure endurance runners and endurance riders are cut from the same fashion cloth, since I'm right at home with the colors and wild patterns.